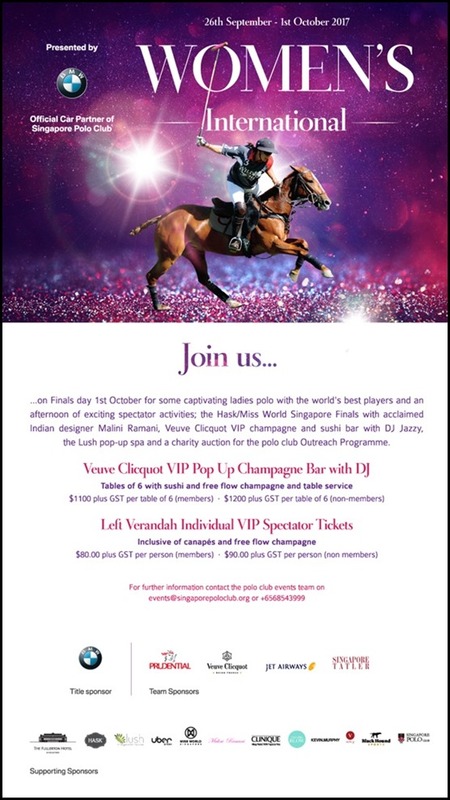 The BMW Women’s International Polo finals will be held this coming Sunday 1 October 4pm, and it promises to be an action-packed event even for those who know nothing about the polo sport! I’ll explain why in a minute! 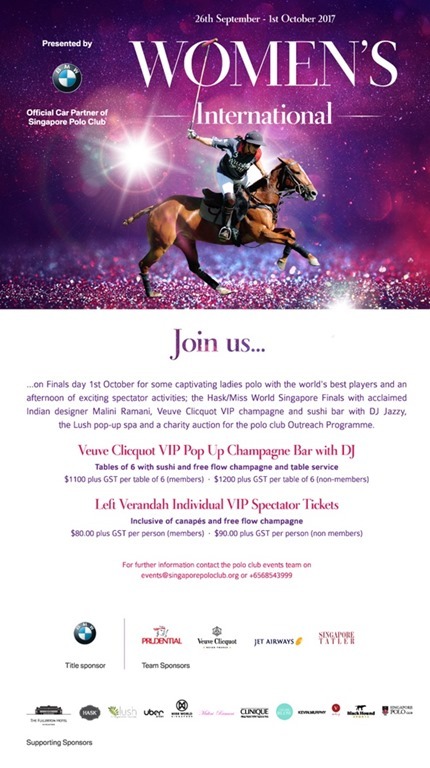 If you’re just going for the individual tickets that comes inclusive of canapes and free flow champagne, that would be $90 + GST per person for non members.